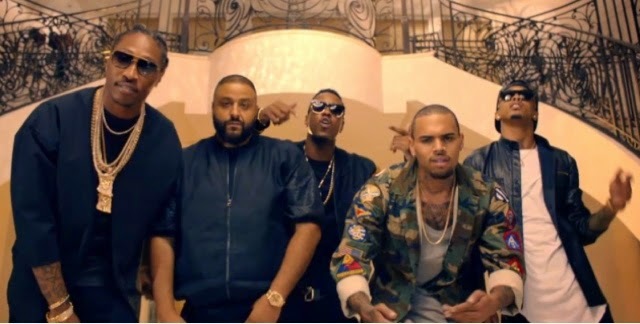 After much anticipated DJ Khaled finally gave us all what we were waiting for - his collaboration with Chris Brown, Future, Jeremih and August Alsina, ‘Hold You Down’. The unveiling of the track came yesterday, and then a couple hours late came the 6-minute video, where we see DJ Khaled do a bit of acting (which he shouldn't do again). 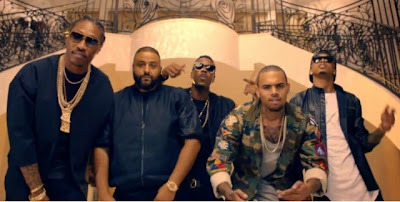 Rocking his new 'We The Best' headphones, Khaled calls on Breezy, Future, Jeremih and August to help him sing to about holding their special woman down on the smooth R&B single ‘Hold You Down’. The track serves as the second single from Khaled's eighth forthcoming studio album ‘I Changed A Lot’, set for release later on this year.